Muslim groups have won their first major victory in censoring Judeo-Christian and patriotic groups that hold meetings in hotels. Hyatt plans to ban certain “hate groups” after Muslim Advocates pressed hotels to stop doing business with them. Such a ban follows the Sharia tenet which calls for strong punishment of anyone who criticizes Islam or Muhammad. Sharia law, which is a combination of the Quran and fatwas, calls for punitive treatment of people who insult Islam. Latimes.com published an article titled Hyatt hotels won’t rent to hate groups, CEO says; Muslim group claims a victory. The article states in part: Hyatt Hotels Corp., one of the nation’s largest hotel companies, announced it will no longer host hate groups at its nearly 800 properties, a move that was praised by a Muslim advocacy group. Act for America, a strong advocate for preserving America’s constitutional republic, was the subject of heavy Muslim contention reported in the LA Times article. Act for America opposes the infiltration of Sharia law into America public policy and law. Derrick Morrow, Hyatt’s area vice president and general manager of the Hyatt Crystal City, implied to HuffPost that it would be illegal for the hotel to discriminate against the group by declining to hold their conference. Robert McCaw, government affairs director for the Council on American-Islamic Relations, tells DCist that isn’t true. He points to Airbnb’s decision to boot white supremacists from their platform before “Unite the Right 2.” And last year, white supremacist Richard Spencer had so much trouble booking a hotel for his conference that he had to hold it in his office in Alexandria. The Council on American Islamic Relations has hundreds of articles posted on its news release web page that openly and aggressively attack government officials, companies, teachers, professors, candidates for office and individuals who dare say anything negative about Islam, Sharia law or Muhammad. Where is Hyatt’s concern about the people CAIR attacks? CAIR pushes an Islamist agenda which includes forcing Corporate America and Government Agencies to recognize various tenets of Sharia law. Many tenets of Sharia law are antithetical to the rights afforded all Americans under the United States Constitution. There are dozens of organizations and thousands of churches across American that openly express concerns about the Islamist political agenda and Islamic terrorism. 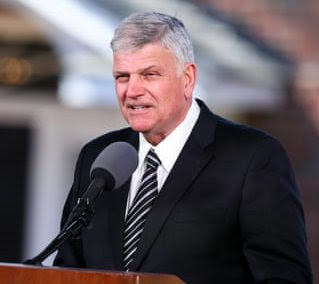 Will Hyatt ban groups led by Reverend Franklin Graham? Given CAIR’s radical history, links to terrorism and hostility towards opponents of Islam it is outrageous that Hyatt has adopted such an anti-First Amendment, anti-America public policy. Will Hyatt actually enforce its ban against groups that criticize Islam, oppose Sharia law and counter the Islamist political agenda? Florida Family Association has prepared an email for you to send to express concern to Hyatt officers and directors about its policy to ban groups that criticize Islam, oppose Sharia law and counter the Islamist political agenda. Please feel free to change the Subject line and Email Content. Click here to send your email to express concern to Hyatt officers and directors about its policy to ban groups that criticize Islam, oppose Sharia law and counter the Islamist political agenda. https://drrichswier.com/wp-content/uploads/hyatt-logo.jpg 360 640 Florida Family Association http://drrich.wpengine.com/wp-content/uploads/logo_264x69.png Florida Family Association2018-10-04 05:33:572018-10-04 05:35:18Will Hyatt actually comply with Sharia law by banning groups that criticize Islam?